It’s a holiday weekend and we’ve got a lot of ground to cover, so let’s just get on with it. Memorial Day is the traditional kick-off of summer. 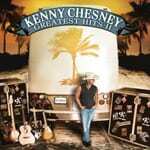 It will come as no surprise to any of you that Kenny Chesney’s Disc of the Day is the season’s first soundtrack tune. We had a lot of newcomers in this week’s stack of platters. Two of them finished in a dead heat for the DisCovery Award. They are Johnny Bulford and Tim Dugger, strong singers both. -He is somewhat sharp in the pitch department. The ballad’s track is super pristine. -Rowdy, raucous and more than a little racy. “She cranks my tractor…likes to roll in the hay…out behind the barn…” you get the idea. -It’s a beefy anthem about our economic woes. Despite the cheesy “U.S.A. !” chants and the instrumental quotes from the national anthem, it’s actually better than you might expect. -The title tune to this kid’s CD is groove-soaked delight that will make you want to put the top down, put pedal to the metal and drive, drive, drive. The backing band is made of A-list players and sounds it. The song has “hit” written all over it. Way beyond promising. Go get ’em, son. -Already steaming its way into the top-10, this party-boy bopper is the only previously unreleased track on Kenny’s Greatest Hits II collection. THE sound of summer, 2009. 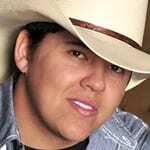 -This ol’ boy is a big deal in Canada and was nominated for a Juno Award for “Thankful,” the title of his current CD. Its new single is a wide-open-spaces rocker with a solid guitar riff, a beat that doesn’t quit and a yearning lyric that he totally nails vocally. Check him out. -Formerly a country hit maker in Schuyler-Knobloch-Bickhardt, Craig has moved from Music City to the Philadelphia, PA area. But he returned to Nashville to record this acoustic, folkie gem of a disc. Its title tune features harmony vocals by the great Darrell Scott and sterling mandolin work by Andy Leftwich. Other guests on other tracks include Tim O’Brien, Beth Neilsen Chapman, Janis Ian, Rusty Young, Lloyd Maines and Maura O’Connell. A simply splendid listening experience. 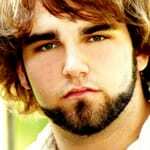 -This 2009 Colgate Country Showdown winner sings with a ringing Southern accent. The tune is a fiddle-laced bopper with an ultra-hooky chorus about good weekend times. He definitely has the goods. -In what is surely one of the longest and musically richest partnerships in Nashville, Bill Cooley has been playing guitar in Kathy Mattea’s band for 20 years. His acoustic instrumentals on his new, third collection are consistently dazzling. This title tune is full of melodic twists and turns and boasts superb bass work by Dave Roe. The guitarist composed all the songs, with exception of the set-closing Elton John gem “Madman Across the Water,” to which Mattea lends her voice. -Templeton’s songs have been recorded by Reba McEntire, Jo Dee Messina and Little Texas, and she has sung demos for many of her fellow tunesmiths. The title tune to her current CD reveals the songwriter’s other passion, horses. The catches and breaks in her soprano are as ear-catching as the lilting melody. Her other current project is a multi-artist CD called On Horses’ Wings, which is a benefit for the Little Bit Therapeutic Riding Center in the Pacific Northwest.